It was the typical two-provider internal medicine practice: Two providers performing excellent services to their happily satisfied patients. Their biller had just left of her own accord and now the practice was stuck with a choice. Do they hire another person to take over or do they outsource their billing? They chose to hire Solor. 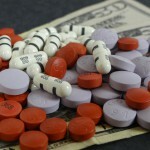 A small one-provider family medical practice was struggling. Their billing was being done by someone with great intentions but little formal training. The result: the practice was barely able to keep the doors open. Enter Solor. They assumed that they were just a struggling practice and that things would get better with time. Things DID get better . . . when Solor joined their team. It’s one thing to beat our own drum, but what do our established clients think of Solor’s services? “During my 35 years of practice I witnessed the dramatic evolution in the business side of medicine. It now demands the expertise Solor offers to navigate the complicated web of billing and collections. When they came in, Solor cleaned up my accounts receivable and from then on we never looked back. Highly recommended!” -Tommy Megremis, M.D. 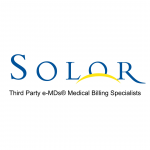 “Solor has provided meticulous, professional and expert billing and collections service for my internal medicine practice. Your employees have been consistently responsive, helpful, pleasant and patient in working with my staff and myself. Not only has my collection rate gone up but my staff has never been so satisfied and comfortable in dealing with billing issues. I highly commend you on the wonderful service you provide and would certainly recommend Solor to my colleagues.” – Lee S. Freedman, M.D. Have a short-term project or want see if you qualify?